youbaby is a medically directed Skin Spa. Everything we do is grounded in science and supported by cutting edge medical advances. 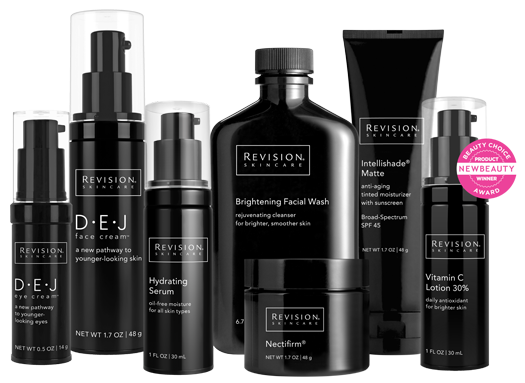 We exclusively offer Revision Skincare, the nation’s most scientifically advanced line of skincare products. Revision products are clinically proven, high-performing, and use only the purest, most effective ingredients. Revision is a perfect partner for youbaby; like us, their approach is rooted in rigorous research and testing, they adhere to the highest ethical standards, and their formulations are truly groundbreaking. Revision’s advanced formulas are rich with peptides, antioxidants and the purest botanical extracts for radiant skin.